Keep Calm & Snark On : How's Everything in Your Bowl??? How's Everything in Your Bowl??? 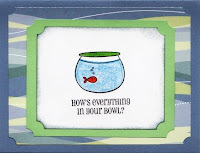 Fun variation on a "thinking of you" card.